Lauren Templeton, a grand-niece of the late Sir John Templeton, directs a new University of Tennessee - Chattanooga program with emphasis on female perspective, leadership and other behavior in finance and trading roles. 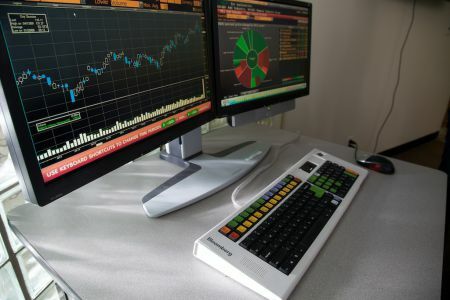 The UT-C College of Business program is dubbed Finance for the Future and will span "behavioral finance," neuro-economics, ethics, brain chemistry, trading, portfolio management, global macro investing and stock-market panics and manias, with emphasis on psychological factors, according to background material provided VNC by Templeton. Templeton is founder and president of Lauren Templeton Capital Management, in Chattanooga. The initiative is funded partly by a $1.5 million gift from Renée Haugerud, the founder, managing principal and chief investment officer of the Galtere hedge fund, and her husband, UT-C alumnus John Murphy, according to a release. The couple's gift led to creation of the College's Global Finance Center. Prior to forming Galtere, Haugerud managed asset trading for Cargill, Continental Grain, NatWest and others. In January, plans call for 15 UTC-C senior Finance majors to begin a seminar and internship program led by Templeton. By Fall 2011, enrolment is projected to be 50 students, Templeton explained. Templeton, 34, told VNC she and Haugerud are two of perhaps 24 women running hedge funds worldwide. Prior to launching Lauren Templeton Capital Management in 2001, Templeton worked for financial advisors Homrich Berg, and hedge-fund manager New Providence Advisors, according to the release. Templeton is also founder and president of the Atlanta-based Southeastern Hedge Fund Association (SEHFA). Gender-based, as well as neurologic, cultural and other determinants of behavior by women and men are addressed in Templeton's program, which also includes study of productive and nonproductive trading behaviors, according to materials she provided. Ultimately, students in the new UT-C program will have not only seminar and classroom instruction, but will also participate in what Templeton intends will be a major annual conference on "behavioral finance." They will also complete internships; manage simulated portfolios; participate in research; and, become certified in use of Bloomberg professional workstations (at left, above), Templeton said. Templeton is discussing program linkages with the University of the South and Emory University, and hopes to establish relationships at Vanderbilt University, she said. She has also participated in activities of the fledgling MidSouth Alternative Investment Association (MSAIA beta site). 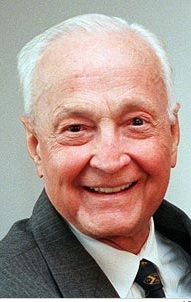 Sir John Templeton (left) died in 2008. The Templeton Foundation's core funding supports initiatives related to increasing knowledge and understanding with respect to "creativity, freedom, gratitude, love and purpose," according to the foundation's website. Templeton said she assists the Foundation on compensation and benefit matters, and has member status with the organization. Templeton is married to Scott Phillips, a portfolio manager and research director in her fund management firm, which aligns itself with value investing principles associated with Sir John.